Wide World of Sports Complex is one of Disney's best kept secrets. So what really is Wide World of Sports you ask? Well this page will answer the most frequently asked questions and if you still have a question please feel free to E-mail Us. 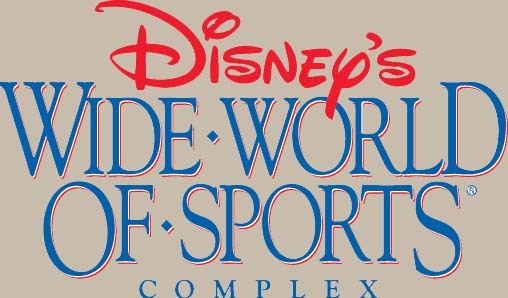 Walt Disney World's Wide World of Sports Complex is a multimillion dollar complex that opened it's gates in 1997 and is 200 acres of sports fun. The Wide World of Sports Complex is the spring training home to the Atlanta Braves and is also home to the AA Orlando Rays. Disney's Wide World of Sports houses every sport you can think of. They have a 7,500 seat ballpark, 6 NBA sized courts, a 400 meter track and field complex, 6 sand beach volleyball courts, 12 lighted Hard-Tru tennis courts, baseball quad-plex with 3 major league-sized ballfields and 1 with lights/scoreboard There is also 2 Little League fields, a softball quadraplex with 4 lit fields, martial arts area, a lacrosse area, soccer field, football and a driving range. 1) One of the most popular things for the guest here is the NFL Experience. This is a place like no other. You can put your passing, receiving and kicking skills to the test to see if you got what it takes. 2) Participate in one of the events going on. Head to Disney's Official Wide World of Sports Website for the latest events you can take part in. You must register ahead of time online. 3) Just purchase a day pass and take in all of the non premium events where you can watch armature and sometimes professional athletes compete. If you are a sports fan the Wide World of Sports Complex is perfect for you. Is usually open from 11:30 am till about 9:00 pm. A sports bar that offers American cuisine. You will find around 55 TV's in this cafe so you don't have to worry about missing a single game or sporting event. Sports fans will love the unique sports memorabilia found through out the cafe. Prices of the food range from around $3.49 to around $17.99 for ribs. You can find this gift shop located just outside of the baseball stadium. Among the items you can find here include tons of sports related items and some Disney souvenirs. Admission for premium events varies.